If this sounds familiar, we’ve got just the workshop for you. 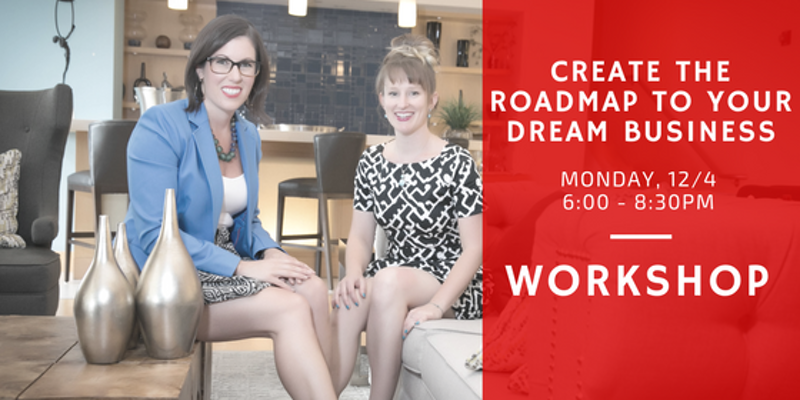 Join us for our workshop Design the Roadmap to Your Dream Business. You’ll share your vision in a confidential and supportive group; Gain clarity on where you're headed; Establish your “Why”; Create massive accountability to actually do the things you need to do. We’re about both business and fun, so come ready to get outside of your comfort zone, learn, laugh, and gain serious momentum!